My batchmates and friends from college invited me to join them on their trip to Cuatro Islas and Lai, my travel buddy from my recent trip to Cadapdapan Rice Terraces and Can-Umantad Falls told me she will be on a side trip to do windsurfing and island hopping to the Twin Islands of San Pedro (Cabugan Grande) and San Pablo (Cabugan Chico) in Hinunangan, Southern Leyte - another province in the island of Leyte. 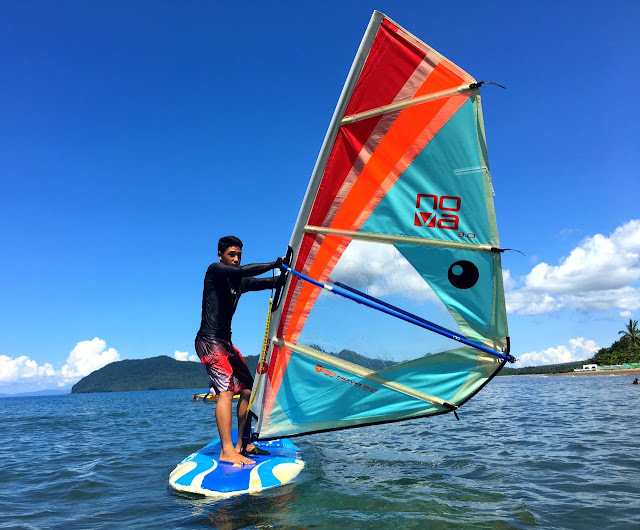 As I have not tried windsurfing before and I wanted to visit the twin islands, I went with her on that side trip while my other friends, Jenny and Don together with their colleagues went home to Cebu at 11:00am that day. Lyle, our handsomest trainor for that day. 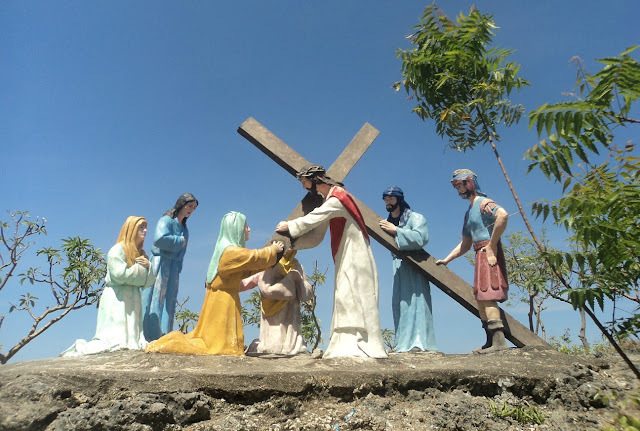 We stayed at Dayola's family in Hindang, Leyte and since Hinunangan is far from the place we stayed at, Dondon drove us to the pier of Hilongos at past 1:00am to catch a bus bound for Hinunangan. Thanks Don for that! 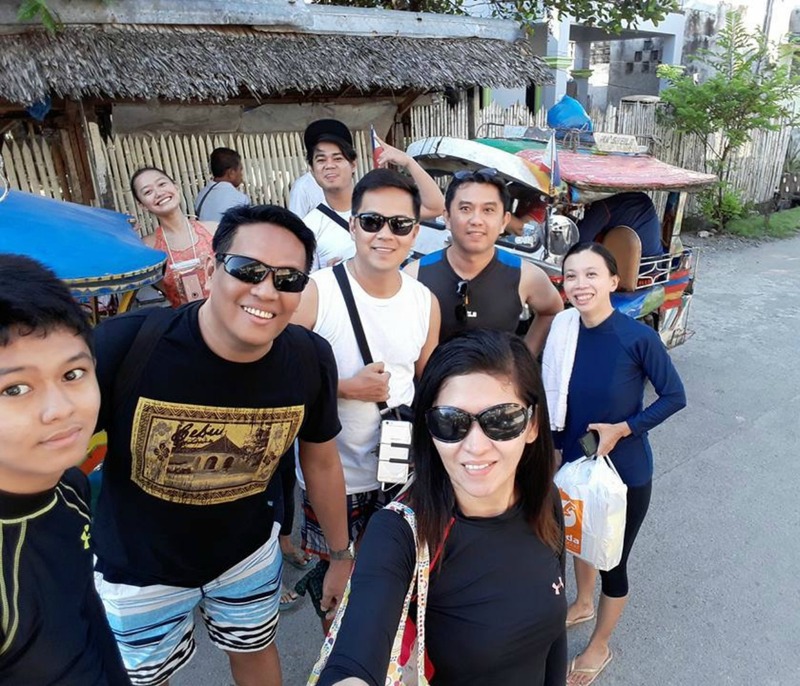 Taken in Hindang, Leyte with Jenny , Don and some of Jen's/Don's colleagues at COA.Thanks Jen, Don and the entire Dayola family for our accommodation in Hindang, Leyte. We boarded a Hinunangan bound bus at Hilongos port and we arrived at the bus terminal in Hinunangan after a 3-hour drive. 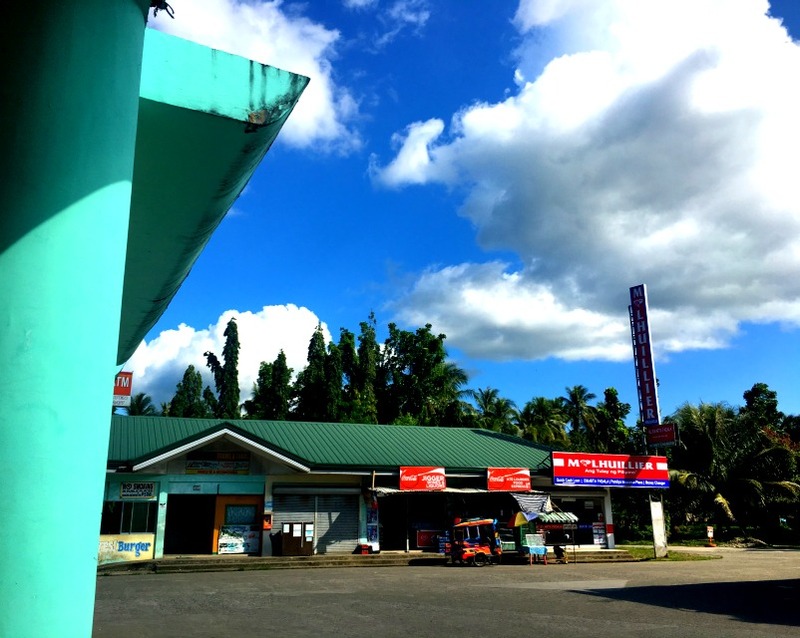 We took a quick breakfast at the terminal and after that, we hired a tricycle to bring us to Barangay Talisay. 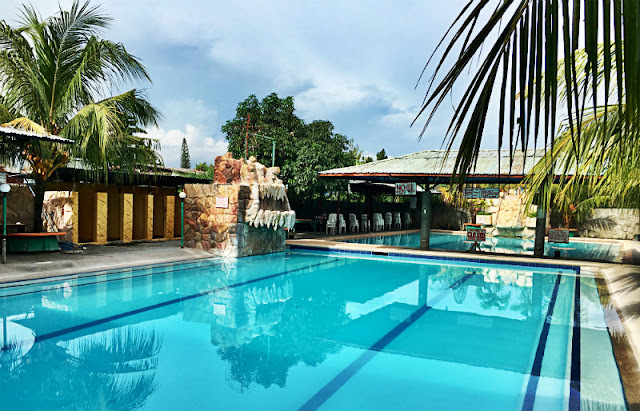 We were brought to a place called Las Vegas and the person who entertained us there pointed us to the place where Parientes Watersports is situated. 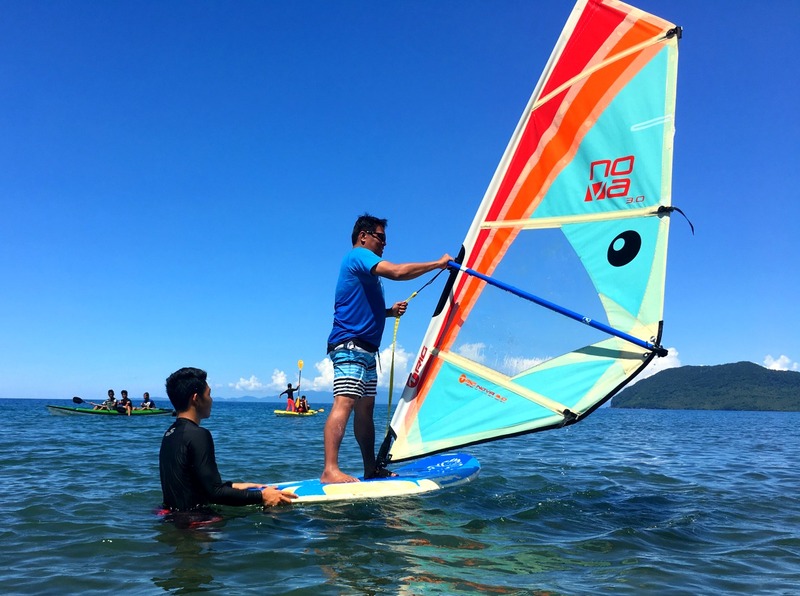 So if you want to embark on an inexpensive windsurfing and other watersports activities in Hinunangan, tell the driver to bring you directly to Parientes Watersports and Recreation or tell him to drop you off at Nobleza's. 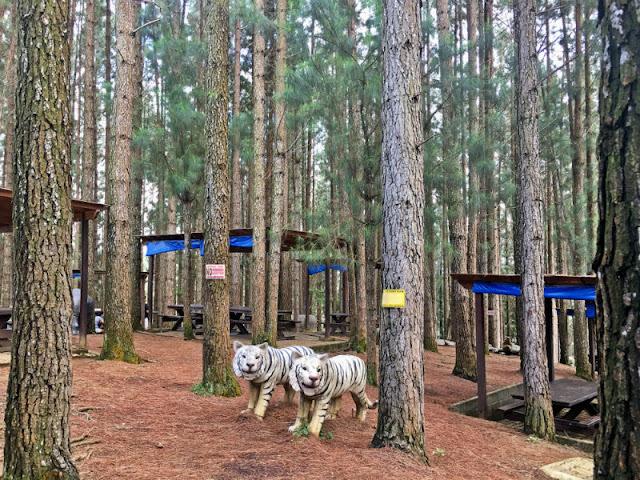 It's definitely worth your visit. 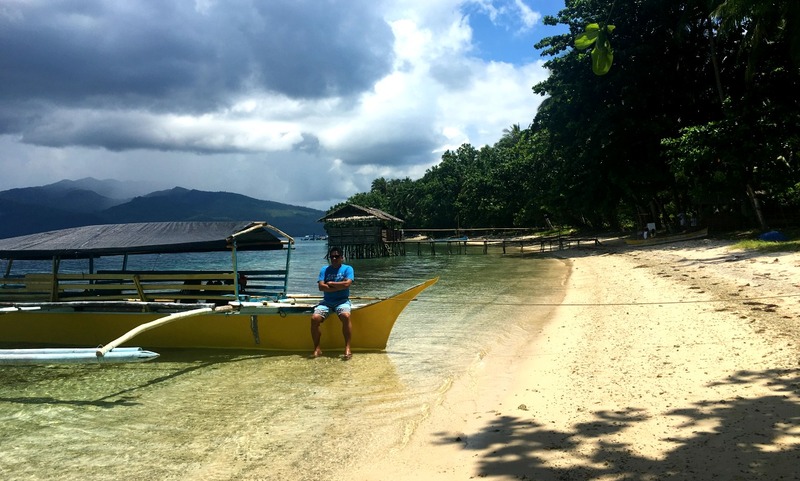 We arrived there at past 7:00am but sadly the attendant told us we can't do windsurfing yet as there is no wind, so we decided to do the island hopping to the twin islands first and went back to Parientes Watersports at noontime. With Maam Cristy, one of the owners and Lyle, her son. 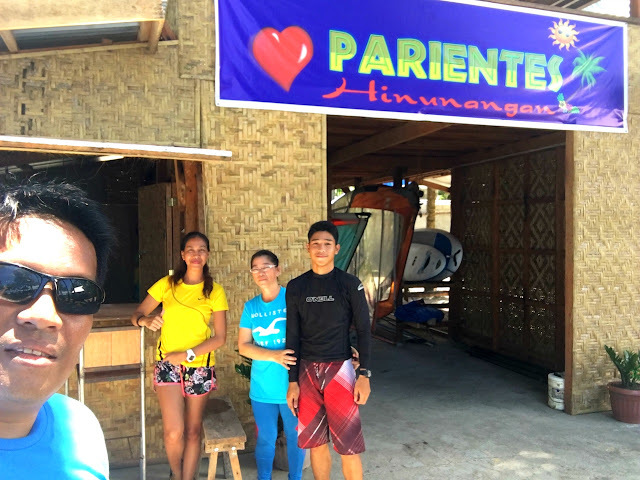 When we arrived back from the twin islands, we went straight to Parientes Watersports and then we met the very accommodating Maam Cristy, one of the owners. She said her husband could've teached us but he was not around that time. We had a good chat and she then called his son, Lyle to teach us how to do windsurfing. The wind hadn't came then when Lyle arrived, so we waited for a few minutes and since we hadn't had our lunch yet, Maam Cristy offered us to eat at their place for free but we declined as we were both shy to take the offer. She really is a good representation of great customer service. After a few minutes of chatting, we were then trained by the handsomest instructor, Lyle. We warned him not to laugh at us (lol). In Cebuano, "way bugal-bugal Lyle" lol. Thanks Lyle for your patience. I said to myself, it's better to try than not at all. I think I'm there but not quite. Lai went in first, she was more determined than myself. After a few minutes of trying, she successfully sailed for a few minutes and when she was satisfied, I went in next as I was challenged. Well, I was able to balance a few times, not sure but I think I was able to sail for a few seconds. I could have practiced some more (alibi) but we ran out of time as we needed to catch our bus back to Hilongos plus my knee hurts from my previous travels, so I got myself contented when Lyle said I'm there, so I was satisfied. Lai was able to sail for a few minutes. Good job Lai! 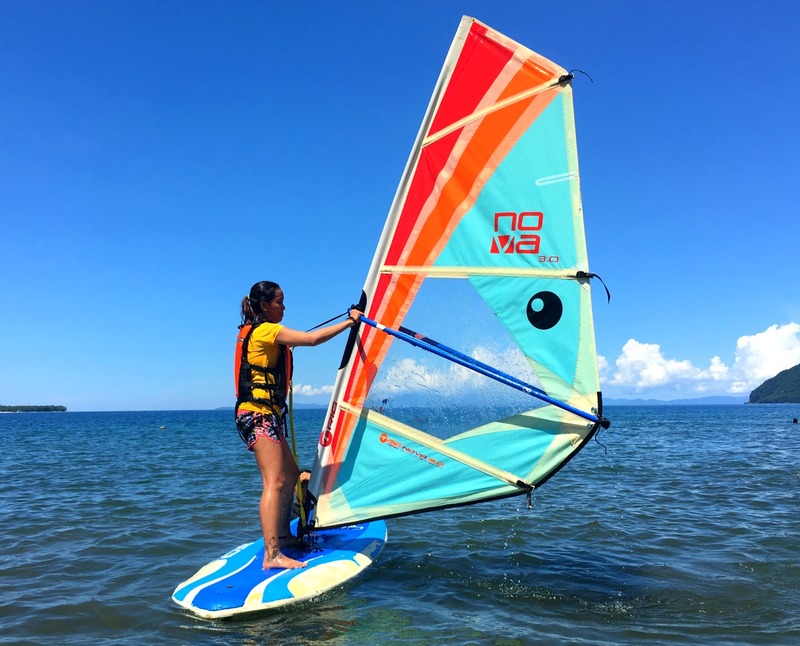 Kayak and other watersports activities - you may ask Maam Cristy for pricing at 0998-553-7456 or visit their Facebook page at Parientes Watersports and Recreation. 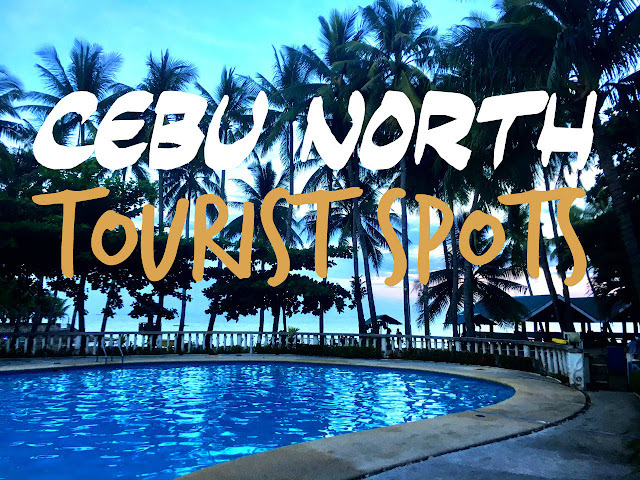 From Cebu City, board a ship bound for Hilongos, Leyte (or any points of entry to Leyte) via Roble Shipping Lines (9:00pm; P370 aircon/one way) but you can also try Gabisan Shipping Lines. 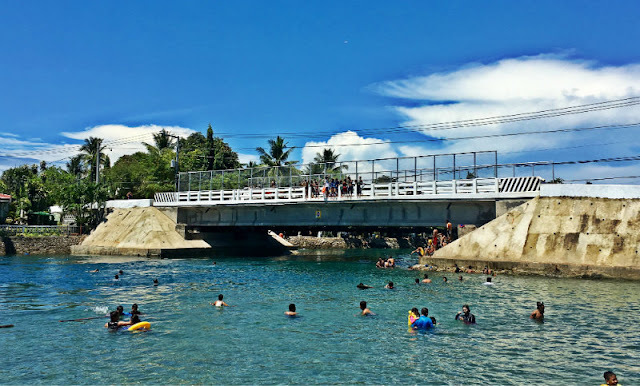 Travel time from Cebu City to Hilongos, Leyte is 5 hours. You will arrive in Hinunangan bus terminal after 3-4 hours, depending on stopovers. At the bus terminal, you can have your breakfast at an eatery there and if you ran out of cash, you may call a friend (lol) and ask him/her to send you money via MLhuillier and pick it up at their branch there or if you have your atm with you, you can withdraw money from there, there's one atm machine there (for local banks only) but don't rely too much as it can get offline, as with all other places. 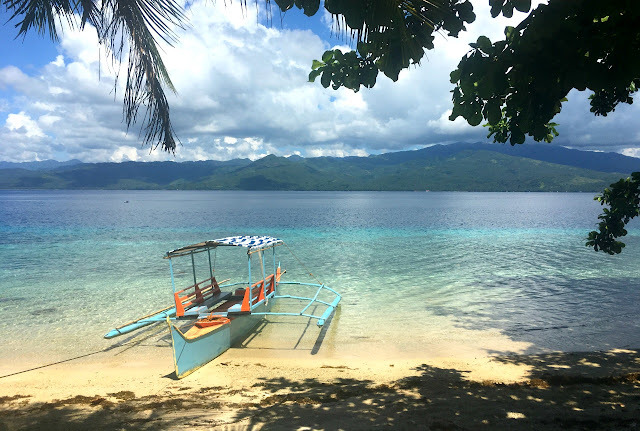 The twin islands of San Pedro and San Pablo which is also known as Cabugan Grande (San Pedro) and Cabugan Chico (San Pablo) are islands in Hinunangan, Southern Leyte that are just a few minutes away from Parientes Watersports. Since there was no wind when we arrived early in the morning at Parientes Watersports, we opted to do island hopping first. 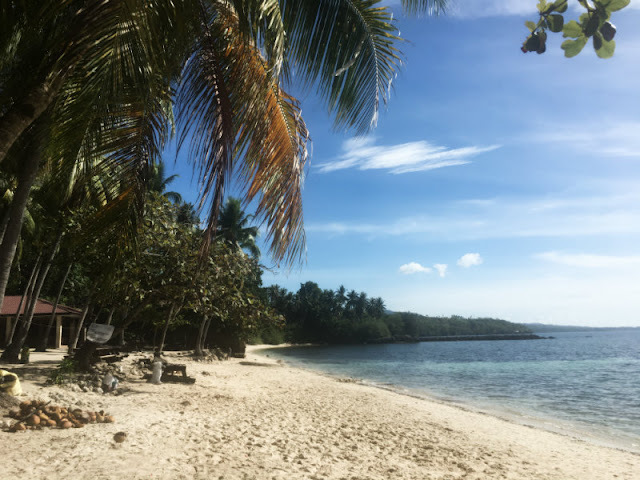 Per my conversation with our outrigger boat driver who happens to be a resident of San Pedro Island, the twin islands are inhabited, there are several residential houses there and beach resorts. This is the bigger island about 30-45 mins away from Parientes Watersports. 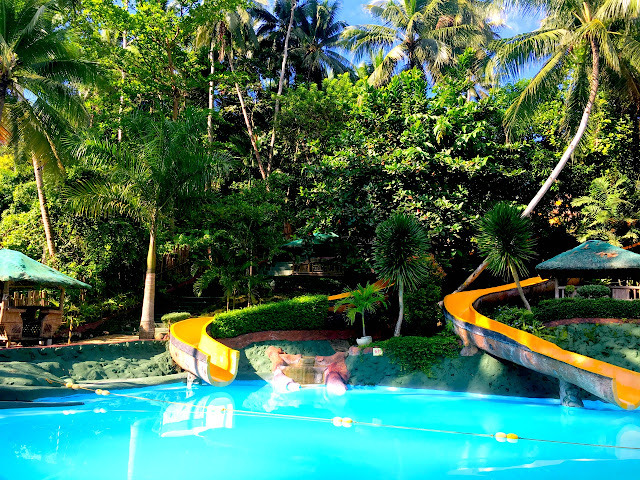 There are beach resorts there such as Vista Beach Resort, Cabugan Beach Resort, etc but when we went there we just rented a cottage for P250. I think you can stay there for free, just leave your things on the seashore. There is a convenience store there as well. 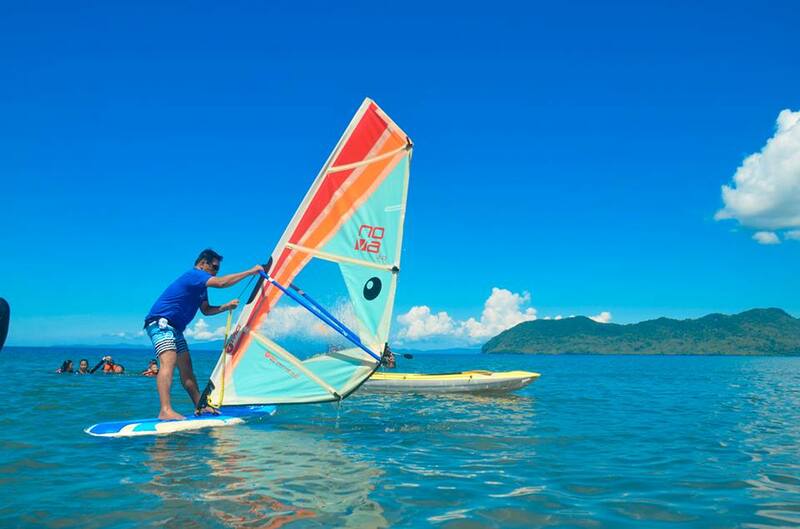 This is the smaller island and is just 15 minutes away from Parientes Watersports. I think you can stay there for free, just leave your things on the seashore. 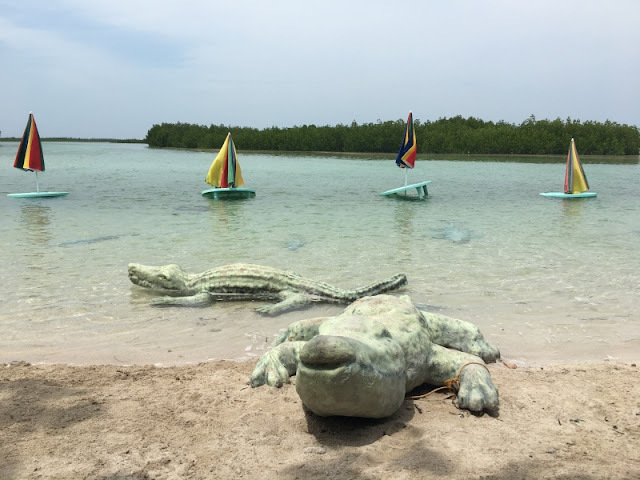 We did not swim here, we swam and spent more time at San Pedro Island. 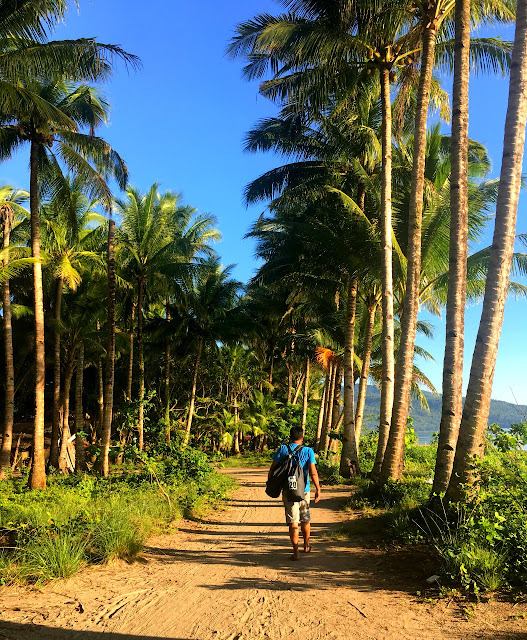 From Parientes Watersports, we walked our way to Barangay Canipaan from the seashore towards the station where outrigger boats are located. We hope to just do it the backpacking way by hitching a group ride (fare could have been only P30) but since it was too early then, there were not much passengers, so we opted to just charter a boat for P1000 to maximize our stay in the twin islands. 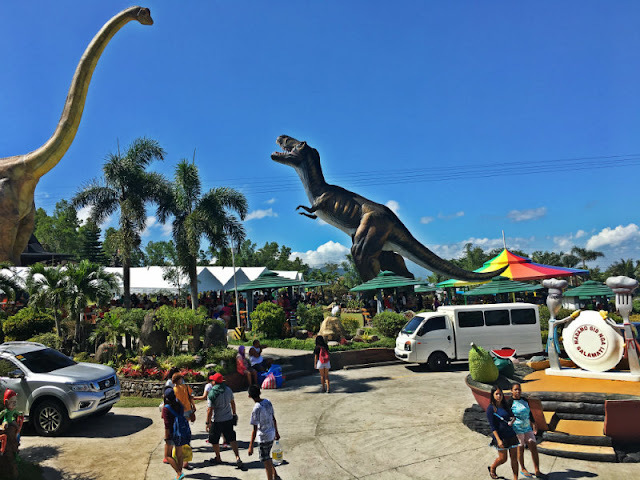 Check out Agoda.com, Booking.com, Tripadvisor.com, Travelbook.ph, Airbnb.com or any other booking websites and type in Hinunangan in the search box.